Vitamin B1 is commonly referred to as thiamine (or thiamin). In a body of a healthy person with a healthy diet, small amounts of thiamine or vitamin B-1 (whatever you want to call it) can be found in every body tissue, and in vital organs like the heart, liver, and kidneys. Thiamine helps to ensure a healthy appetite, It is essential to the way your body gets energy from carbohydrates. 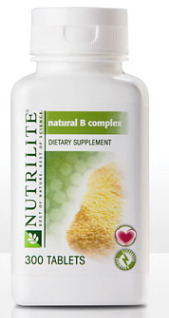 Vitamin B-1 functions in the bodies ability to metabolize sugar. This vitamin acts as a mild diuretic (something that makes you urinate more) and helps decrease water retention. Vitamin B-1 also works to clam nerves. It could be considered the unofficial "mood stabilizer." What Foods Provide Thiamine or Vitamin B-1? Thiamine's best food sources are the coverings (outside) of grains like wheat, rice, and oats, so this vitamin is easily lost in the cooking and processing of grains. Refined flours are usually stripped of thiamine, so most people get their vitamin B-1 from breads and cereals enriched (added) with the vitamin. Lean pork, beans, nuts, and seeds are also a food source of vitamin B-1. Overdose or toxicity of this vitamin is very rare. Your body can easily handle large (200-300 mg) of this vitamin. I'm not suggesting that you should go off and start taking large doses of vitamin B-1, I'm just saying that overdoses of thiamine are very rare. A more serious deficiency can lead to a condition called Beriberi, a condition of the nervous system caused by a vitamin B-1 deficiency. 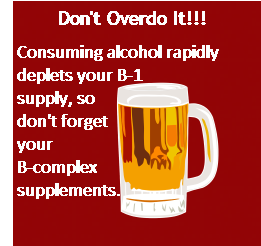 A vitamin B-1 deficiency is also found in people who abuse alcohol. If you are a person who consumes large amounts of alcohol, talk to your practitioner about thiamine deficiency to avoid any deficiency illnesses. 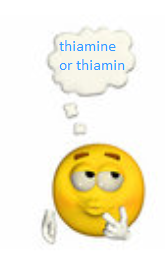 Is Thiamin Spelled with an E? Who knows! Some spell thiamine with an e and some spell thiamin without an e. I say if it's bugging you that much, just call it vitamin B-1 :).